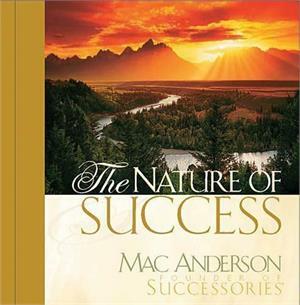 The Nature of Success is an inspirational gift book combining award winning photography with Mac Anderson's wisdom and insight on the keys to personal success. 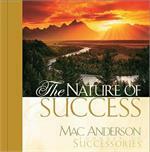 Beautiful nature scenes accompanied with an inspirational quote will introduce each "success chapter" followed by two to three pages of insights, unforgettable real life stories, and Mac's favorite quotes on each topic. Anderson's insights take on new life as he brings a solid Christian perspective to The Nature of Success .